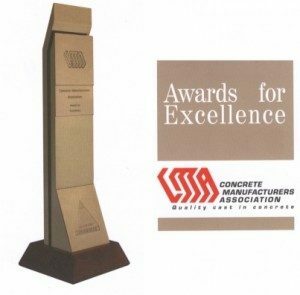 The Concrete Manufacturers Association (CMA) conducts the Awards for Excellence Competition every two years. Setting and maintaining standards is what defines this competition. The CMA plays a vital role in ensuring that South African consumers continue to have access to a range of precast concrete products which are world class. SmartStone is proud to have won numerous CMA awards over the years.